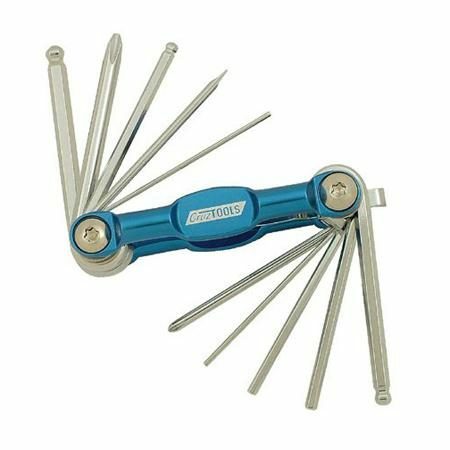 Multi Tool for Guitar / Bass – Fix and tweak any guitar in your grasp with this handy Multi Tool for guitar and bass! This 10-in-1 guitar tool includes 4 metric and 3 fractional hex keys, 2 Phillips screwdrivers, a 2.5mm slotted screwdriver, and a ruler for a setting action. A unique accessory for any guitarist or bassist. Made with heated-treated S2 material with a chrome finish. Approx. 3″ L.